This is the last post in my 2 part Colour Inspiration Series featuring the new BEHR Marquee Paint Collection from The Home Depot. You may have seen my 1st post featuring the beautiful baby blue hue, Blue Gossamer. 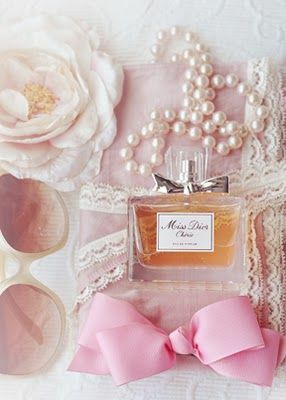 This post showcases the pretty pastel pink, Stolen Kiss (such a perfect name, isn’t it?!). When I think of pastel pink for home decor, I tend to think of a little girl’s bedroom, because come on, what little girl doesn’t want a princess pink bedroom?! After doing a few quick image searches, I found these absolutely stunning interior inspiration photos using this “not just for little girls” colour. In the next few months, I hope to redecorate my living room, and this soft Stolen Kiss shade is definitely in the running for a colour option. This is also the last week to enter to win a $500 Gift Card from The Home Depot, so you can experience the new BEHR Marquee Paint Collection for yourself! Entering is super simple. All you have to do is comment below with a link to anything on the web to something that inspires you in the pretty shade of the BEHR Stolen Kiss paint. I’ll pin it to my COLOUR INSPO with THE HOME DEPOT Pinterest board. You can enter once per day, just be sure to link to different photos. You can also continue to submit colour inspiration from BEHR’s Blue Gossamer as well. You can comment on either post, linking to either colour. – To enter, comment on this blog post with a link to a photo of anything that inspires you in the BEHR Blue Gosammer or Stolen Kiss paint colours (or any shade of blue or pink similar to these colours). Be sure to include your name and e-mail address in the comment form (not necessary in the actual comment) so I can contact you if you are the winner. UPDATE: Congratulations to the Contest Winner, Lisa L! 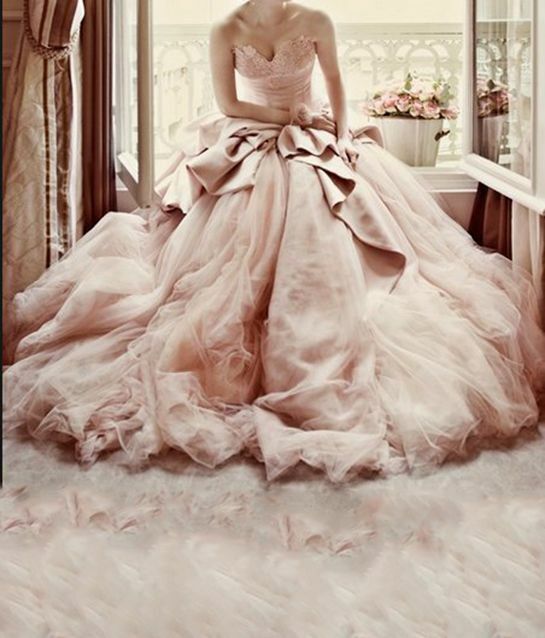 Love all of the blush pinspiration! I love this color too!!! My inspiration is the ombre walls that my daughter wants in her new room. This stolen kiss colour would be great for all the other walls! Another beautiful colour fit for any room! Love that pink–so calming and fun to decorate! Love the similar color in this entryway! Love the colour, very soft and is great for all year round :). Yes!! Stolen Kiss is such a fabulous name for this colour. It’s soft and romanic, yet mischievous. Really love the blush color! Great contrast with the yellow! I’m inspired by this light fixture. I’m always drawn to pink flowers! Cupcakes are a bonus. Thme! I want to purchase the Behr paint and use it for my bedroom. 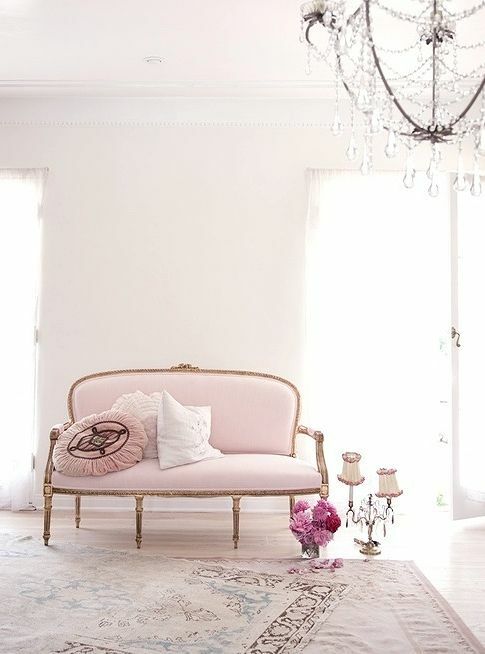 The pale pink is so chic and classic. Sort of fascinated with this pink shade lately. I can definitely see myself painting chairs (similar to the Pinterest link) or an accent wall with Stolen Kiss. Such a fun giveaway, I love this pretty pink shade! 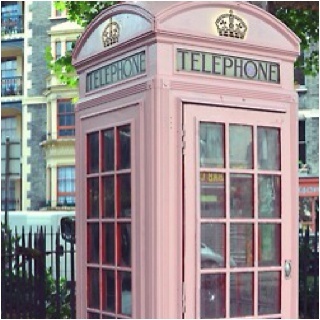 I can really see myself using this pink shade for a bedroom paint reno, so chic! This pink and white pillow would be a lovely accent.